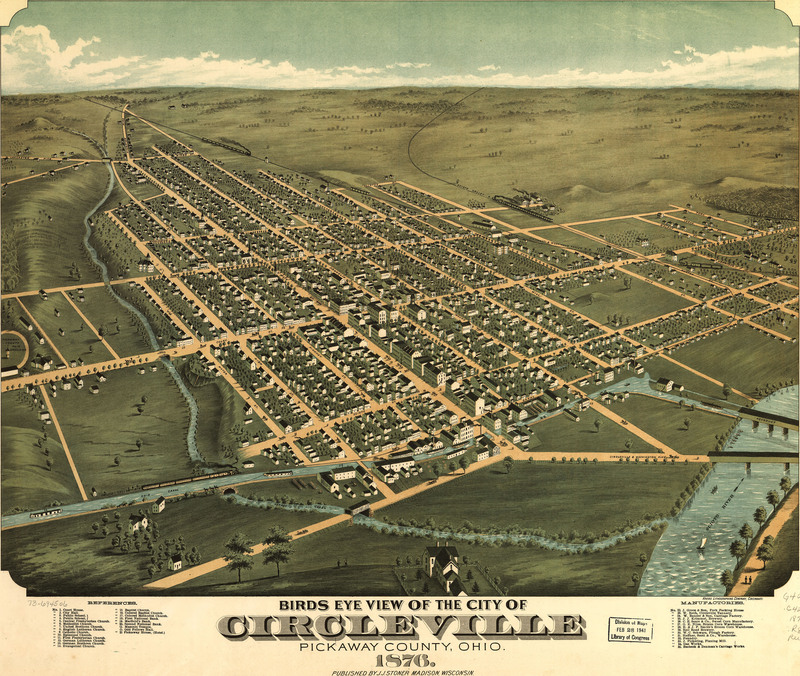 A. Ruger's birdseye view of Circleville, Ohio in 1876. This map isn't part of any series, but we have other maps of Ohio that you might want to check out. 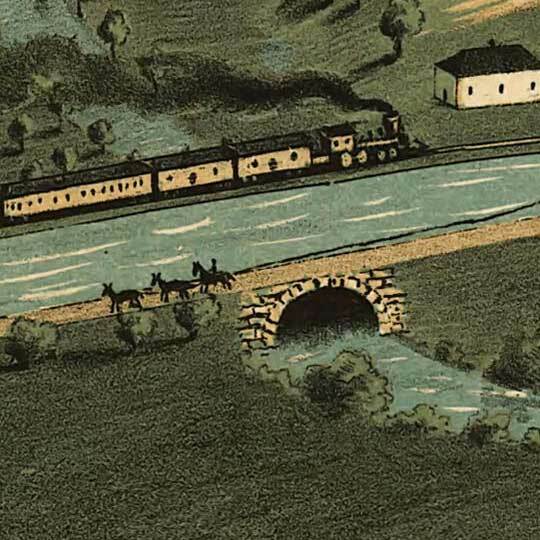 This Ruger litho of Circleville, Ohio [gmap] is perfectly fine in all respects, but the real star of this image is the Ohio Canal in the lower-left. Just look at that thing and try to wrap your mind around it. Anybody got any ideas where (in the Continental U.S.) I can go to see something like this that's been kept up? For more maps and images from this period in the region's history, visit the Ohio Historical Society. I would like to purchase a copy of this. If there is any for sale pleases let me know.